You can click on the pictures below or use the links that follow them to see the full DIY posts. 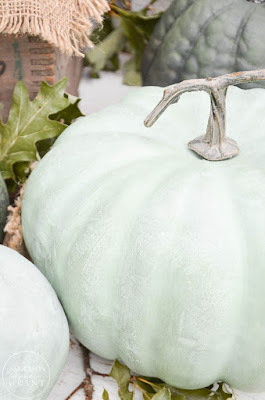 A simple paint treatment takes colorful craft store pumpkins and transforms them into stylish heirloom versions you'll put out year after year in your fall home. 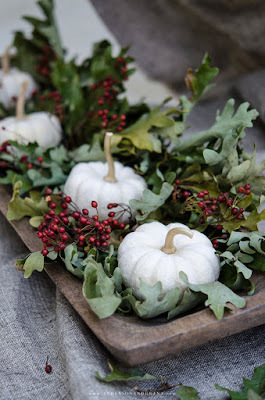 A visit to the great outdoors will give you all the supplies that you need to create this easy layered fall centerpiece in a wood dough bowl. 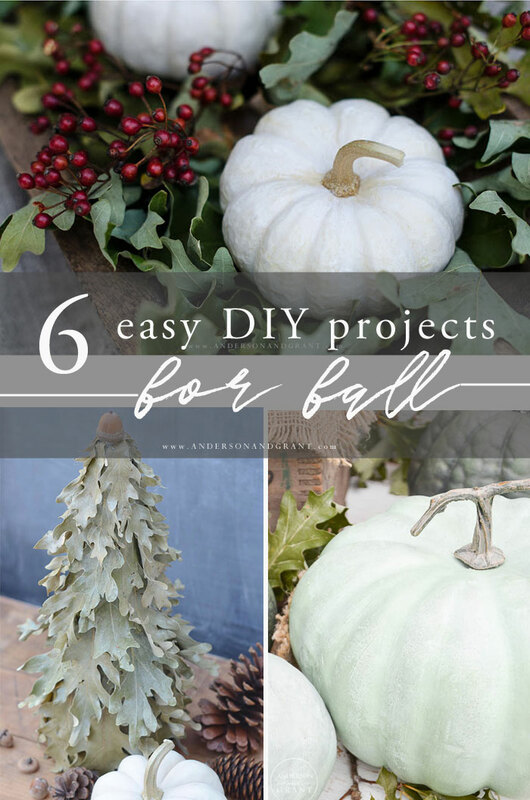 After gathering leaves for this project, constructing the tree will take no time at all. 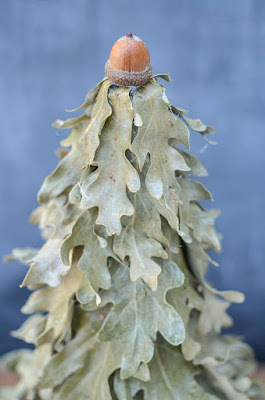 This decorative tree can be displayed as is or atop a candlestick for some height. 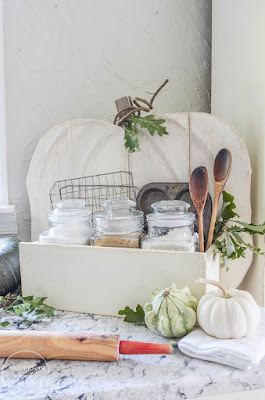 While I used the rustic pumpkin stand that I constructed as a decorative place to store my fall baking supplies, you could use this easy DIY project for just about anything seasonal. 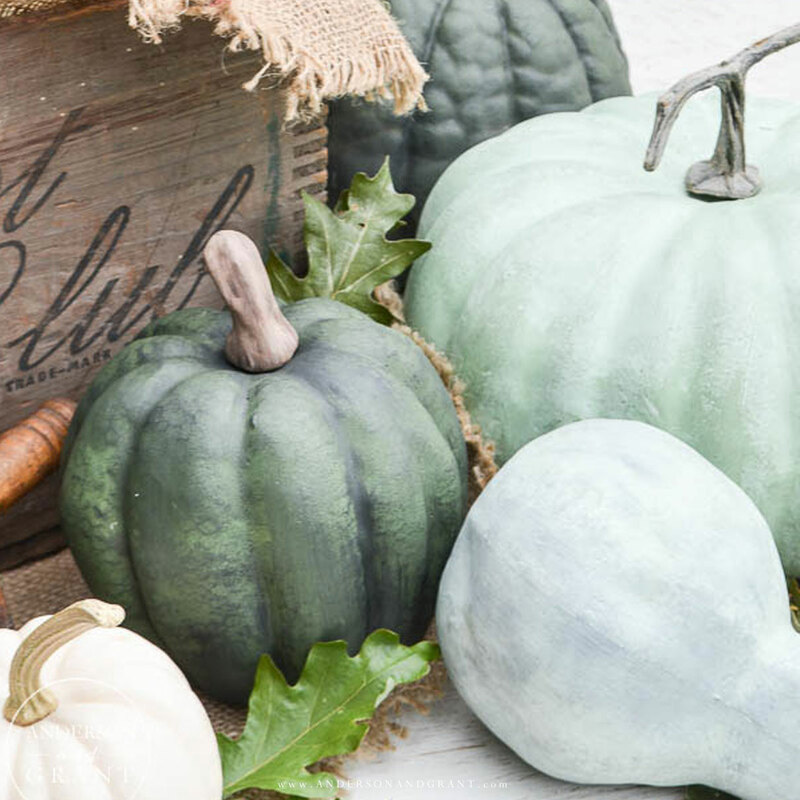 Fill it with leaves, more decorative pumpkins, or even as a serving station for a fall party. 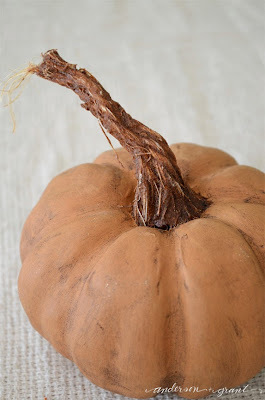 My least favorite part of any fake pumpkin, not matter how real it looks, is that the stem always looks fake. This DIY idea will have you using ordinary craft supplies to make stems that are almost as nice as the real thing. 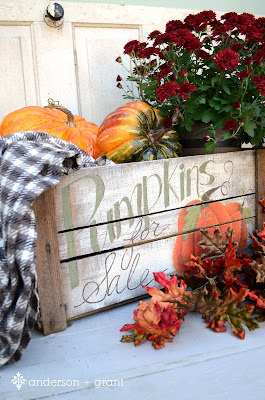 An old rustic wood crate was turned into the perfect place to showoff some pumpkins or live mums on your front porch. 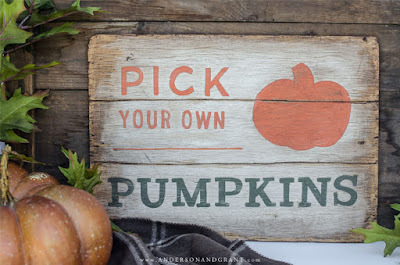 Use any basic scrap board that you have to create this easy rustic hand painted sign.